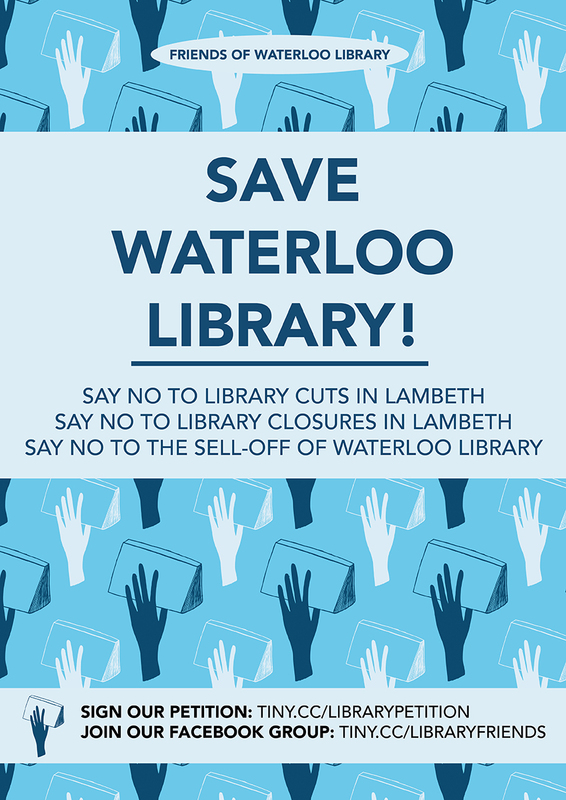 I made these posters to help a friend campaign to stop Waterloo Library being closed down and sold off (there is definitely no resemblance intended to a certain range of paperback books . . ). Lambeth council is making devastating cuts to their libraries after having their budget cut. This government have been slowly and deliberately destroying every public service they can, if it doesn’t make their rich business friends richer, they don’t care. Libraries are incredibly important, and the poorer the area the more vital they are. Even with my family, who did have books at home, there is no way I would have the education I have now if I hadn’t have been constantly reading books from the public library growing up. That’s a really great poster. Good luck with your campaign. I’ll have a look at your facebook page.